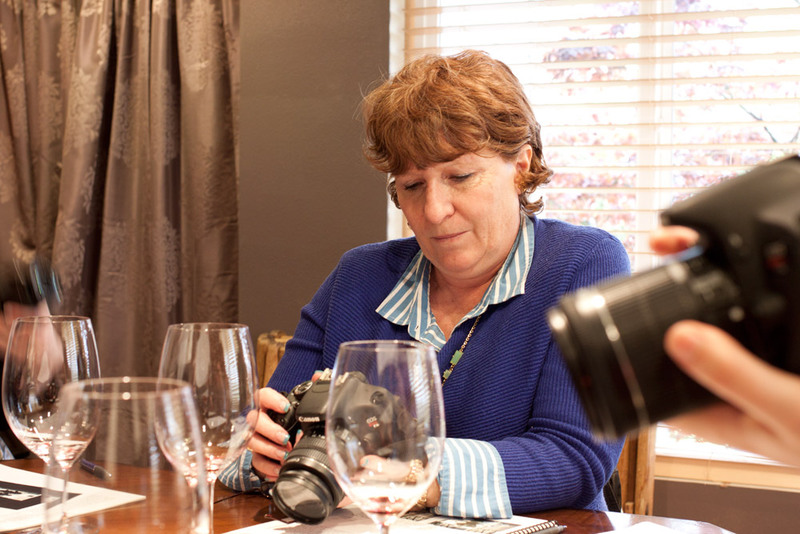 a couple of weekends ago, Sarah at Sarah Christine Style and i found ourselves in Woodinville for a little wine and photography class from Christiana at Cork and Click. i had been wanting to brush up on my photography skills for a while now. the last time i took a photography course was in college, after all. 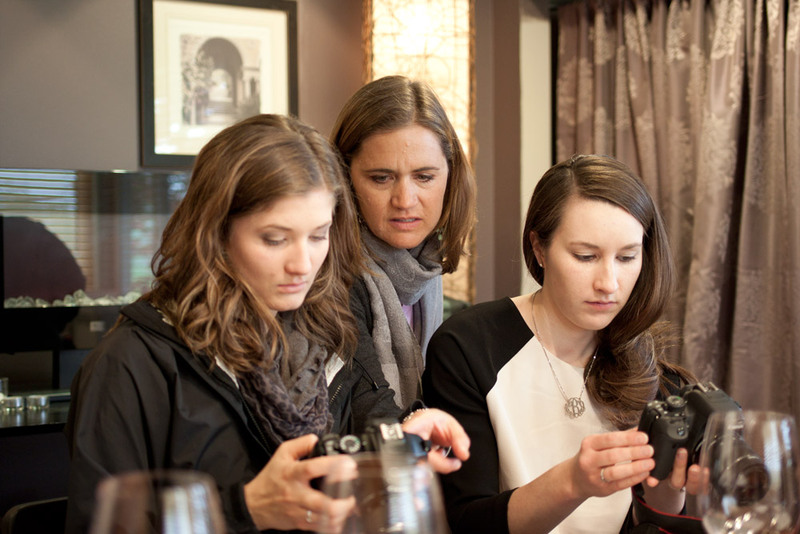 the fact that the class also promised us some wine tasting while taking photos? sold. we learned the basics like ISO, shutter speed, and aperture, but something i had been missing was actually practicing these things! 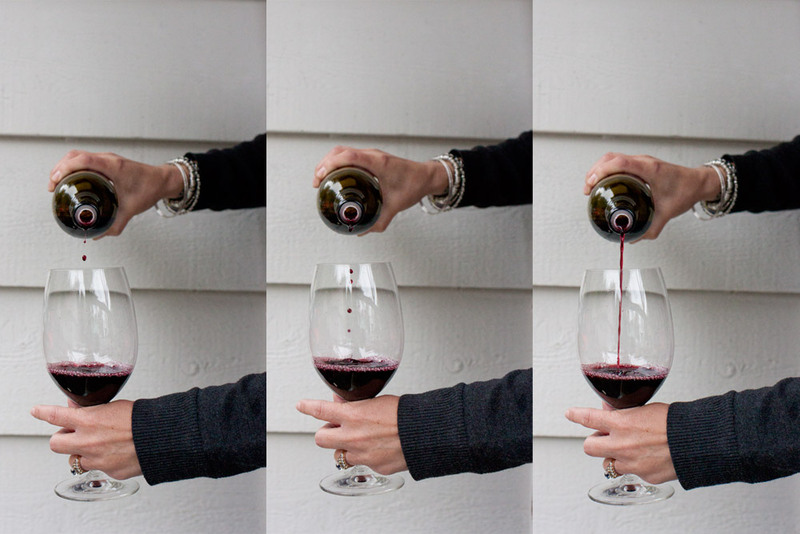 we did a fun little demo with pouring wine to practice shutter speed to capture motion. 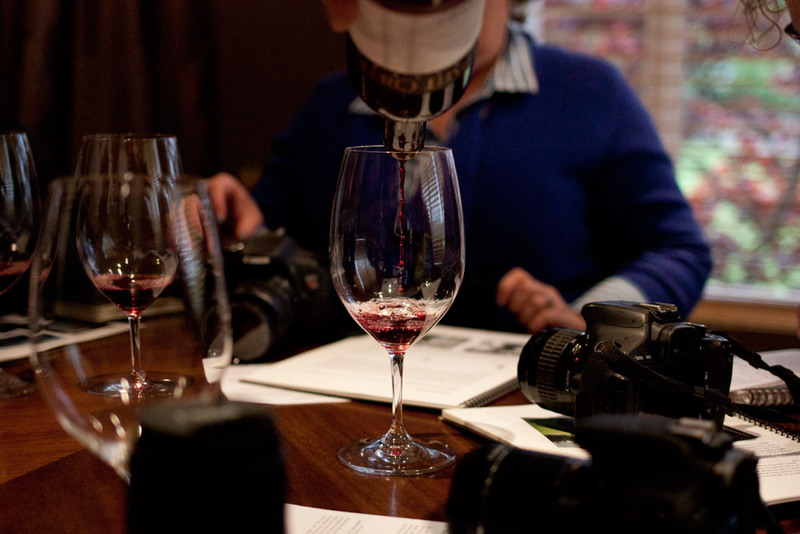 with the wine still flowing, we talked a lot about composition, including the rule of thirds. We also discussed how to tell a story with our photographs. another fun thing was peeking inside of Christiana’s photography bag. seeing what other photographers tote around is always interesting to me. obviously some amazon shopping was in order for me, i’m stocked on uv filters, dust blower, and a new lens hood now. i’m also ordering a custom strap and camera case in hopes of actually toting my camera around with me everywhere. probably the most valuable lesson that i picked up from all of this? bring your camera with you everywhere! you can’t be taking photos if you don’t have your camera. already i’ve felt like i’ve missed some really great photo ops by not having it with me. have you ever felt like you’ve missed out on a great photo op? 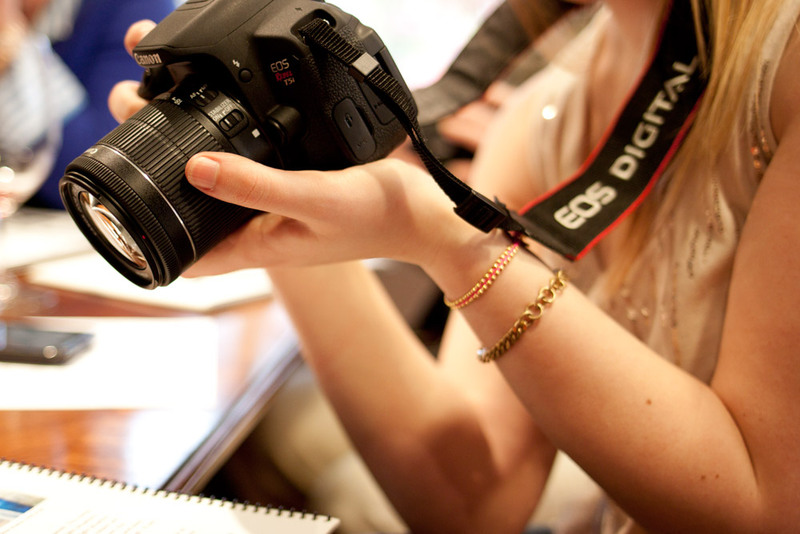 would you ever take a photography class like this? I need to take a photography class! I just bought a new lens for my Nikon and I have no idea what I am doing! I miss all types of photos because I only have my iphone on me. me too! i’m trying to get better about packing my camera with me everywhere. all i understood was wine. haha! seriously, sounds like fun – i only have a point and shoot, boring, i know, but fancy cameras scare me! haha! i used a point and shoot for a longggg time, then i bought my DSLR and its just so much more fun! its definitely an investment though! This class sounds like such fun! I like wine and my photo skills could use some work so… yeah. I get nervous about carrying my DSLR camera around with me so I’m sure I’ve missed tons of interesting photo ops. Maybe I’ll start small and bring it with me to the park one day. wow! these photos are awesome! my favorite is the first one! and now i need some wine! haha, i know right? wine and photography was seriously a great combo! it was definitely great to take an in-person class. i had read a lot of books, but having someone show you and and point things out is really helpful! Ever since I bought a big (and better) camera to replace a smaller digital camera that broke, I find that I use it less, which kind of defeats the purpose of owning a better camera. It is just hard to want to carry my larger camera around in my purse with me because it’s so bulky. Your course looked like so much fun. Taking pictures and drinking wine are both great separately, so combining them would be something up my alley! oh totally, i’m looking for a new bag just to make carrying around my camera with me easier! i took a class at a local community college when i first got my camera and i was so helpful. but just like you, i need to just bring my camera with me more so i can keep practicing! totally, i need to get in the habit of bringing it everywhere so that it’s just normal! As a former student of Christiana, I can’t encourage you enough to take one (or more) of her classes! It’s a blast, to say the least! Her ‘Get Off Auto’ approach is a wonderful, fun way to learn some initial functions of your camera and give you the confidence to get out and take photos! She makes sense of the ‘technical’ jargon and takes the fear out of changing settings! Such a relaxed, hands-on, ask all the questions you want way to learn…. 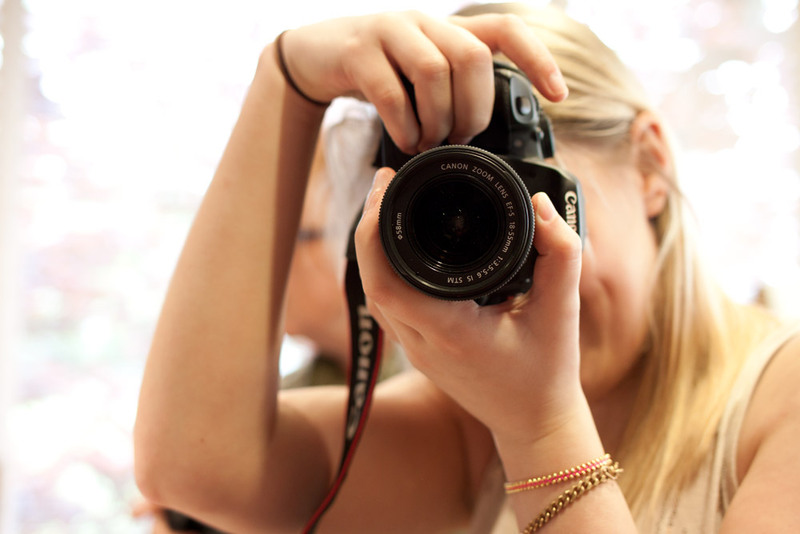 grab your camera and some friends…. and of course, enjoy the wine! i couldn’t agree more, Cheri! really enjoyed her class and i’m looking forward to attending one of her photography field trips! Girl that looks SO SO FUN!!! I wanna join! Wow this is such a good idea for a business. I’m a photographer & would love to teach people how to use their cameras! So often people buy nicer cameras and have no idea how to use them so just put them to Auto! What a waste. I hope you learned a lot – if you ever have questions don’t hesitate to ask me! The entire time I was in Europe I was thinking about everything from that class. My pictures are so much better because of it. I kept playing around with aperture and stuff while I was taking pictures. I would take a picture of Bryan with something in the background and then another with the background blurred out and show them to him all proud of myself. I can’t imagine the pictures I would have taken without that class!